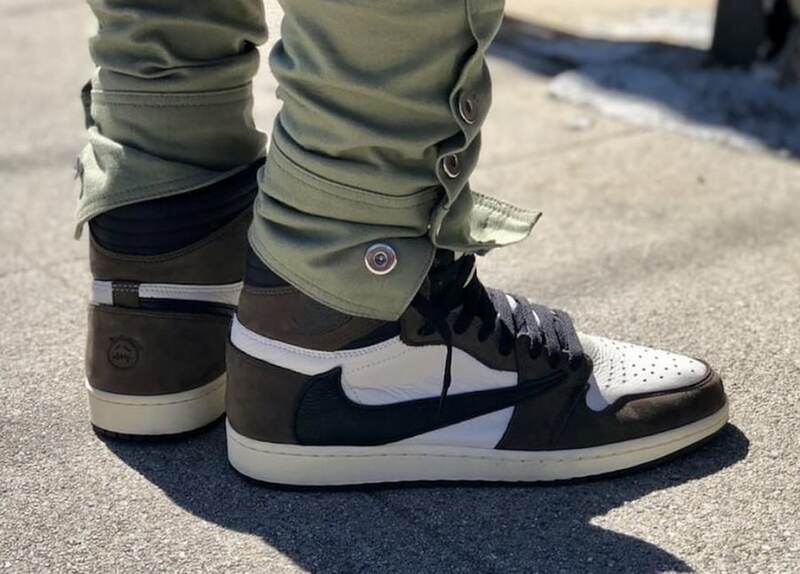 After a soft early release, last month, Travis Scott and Jordan Brand are finally ready to drop their collaborative Air Jordan 1 High. After weeks of waiting, we finally have a potential release date. 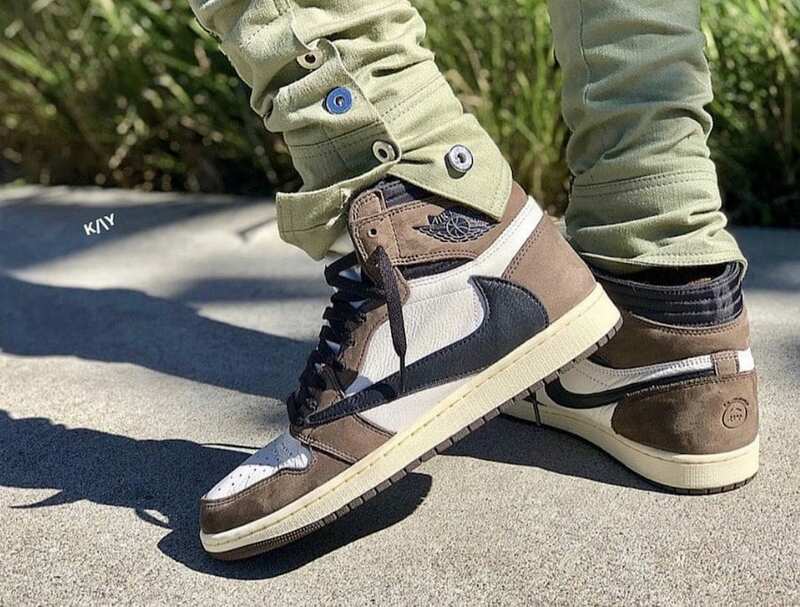 Travis Scott and Air Jordan’s collaborative take on the Jordan 1 is almost here, and the sneaker world is bursting at the seams for the chance to get a pair. Last month, limited numbers of the wild new Jordan 1 were released alongside the Houston rapper’s Grammy performance, giving us an early look at what’s to come. However, by limited we mean EXTREMELY limited, causing resale prices to immediately skyrocket beyond the $1K mark, even reaching as high as $2,000 for the more popular men’s sizes. 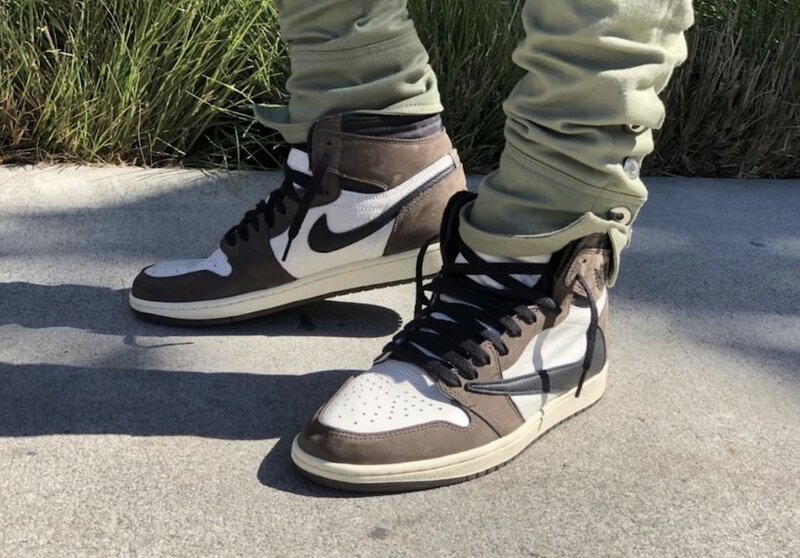 Constructed from both suede and leather and dyed in a simple mocha and white color scheme, Travis Scott’s signature Air Jordan 1 is most noticeable thanks to the backward black Swoosh on the outer side of the shoe. 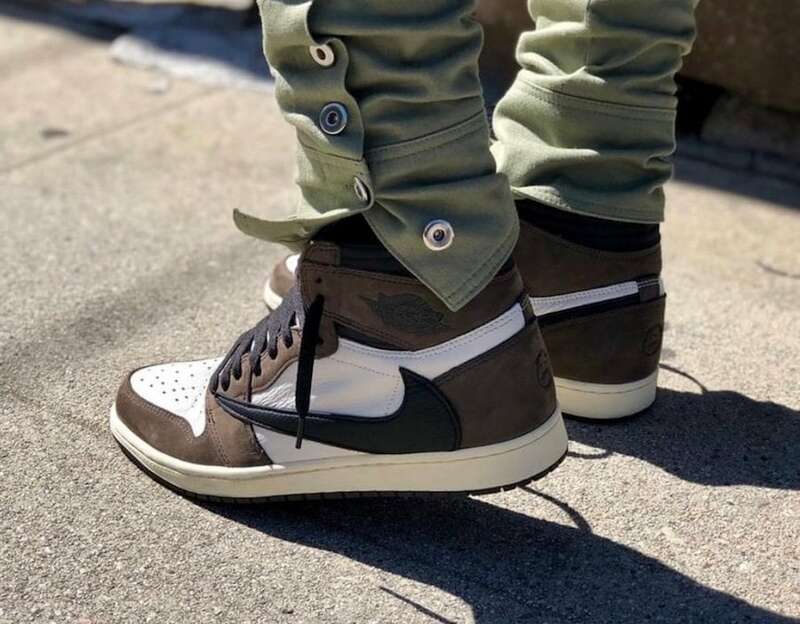 Travis Scott’s highly anticipated take on the Air Jordan 1 Retro High OG is now rumored to be released on May 3rd, 2019. Surprisingly, this special edition take carries a retail price of $175, in between the Jordan 1 standard of $160 and the premium silhouette standard of $190. 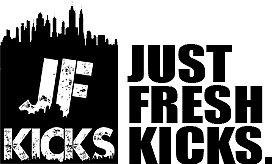 Check out the early images below from StyleLikeKay, and stay tuned to JustFreshKicks for more information on where to secure your pair.